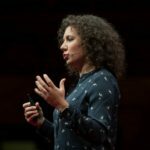 Anastasia is an aeronautical engineer completing her PhD in autonomous drone navigation. She has experience ranging from projects with the NASA robots onboard International Space Station to managing 370 person team for UEFA. Anastasia has recently been awarded Amelia Earhart Fellowship for her commitment to advancing the application of aerospace engineering. 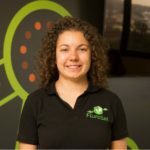 Her passion for the real-world application has found expression in the start up, FluroSat accelerated by Telstra’s muru-D and now monitoring farms using drones and satellites in 5 states in Australia.